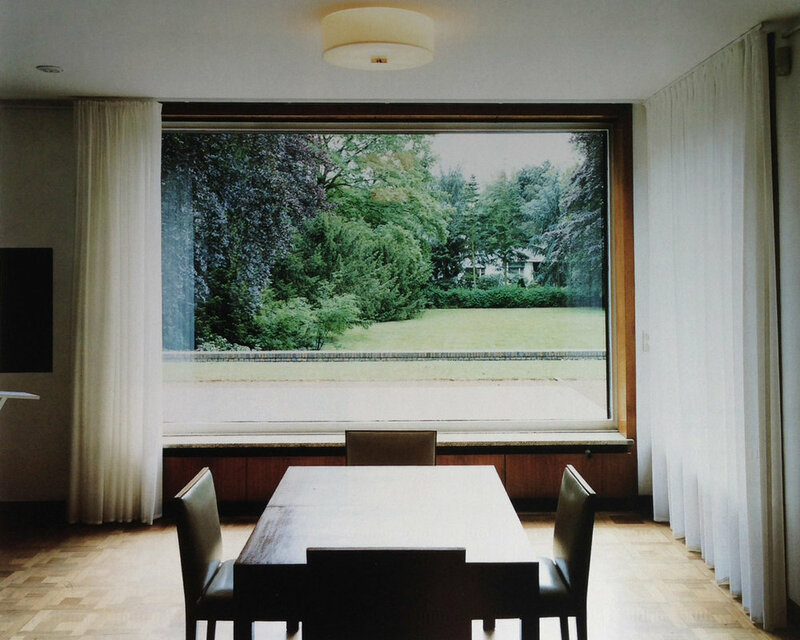 Esters House, Krefeld, Germany. Mies van der Rohe, 1930. Casa Luis Barragán, CDMX, Mexico, 1948. Raum 19, Imi Knoebel, 1968. Ort - Rosa, Imi Knoebel, 2013. Céline "temporary boutique," Paris, 2010. Museum der Kulturen Basel, Herzog and de Meuron, 2010. François Spitzer apartment, Jean-Michel Frank, 1930. Manufacturing number, Chanaux & Company, Jean-Michel Frank, 1930. Sofa, Charles-Edouard Jeanneret (Le Corbusier), 1916. Bernardo Bertolucci, "il conformista", 1970. Harlem Valley State Hospital, Christopher Payne," Asylum" 2009. Untitled (Devoe Money in Jackson, Mississippi), William Eggleston, c. 1970. Richard Serra, "Space Place," 1985. Rudolph Schindler apartment building, Los Angeles, 1940. King's Road House, West Hollywood, Rudolph Schindler, 1922. Chellberg Farm "Sugar Shack" (maple syrup refinery), Porter, Indiana.